Why the benefits of playing a team sport stay with you forever. "I thought about hanging up my netball shoes many times before. But I'm so glad I didn't." “You’ll never regret playing sport,” my dad used to tell me when I wanted to stay home and watch Saddle Club instead of going to netball practice. Truth was, I couldn’t really give a stuff about Saddle Club. I was scared. The week before, I’d just started at a new netball club and I didn’t know anyone. On the first day of trials, my dad watched from the sidelines on a 30-something degree day as I played my heart out with a bunch of other 12-year-old girls I’d never met. While they chatted and laughed in between breaks, I’d go back up on the hill and sit with my dad so as not to be on my own. "&apos;You&apos;ll never regret playing sport,&apos; my dad used to tell me. He was right." Image: Supplied. Eventually, I made it back out onto the court. When the letter arrived with my name on it in the post, telling me I&apos;d made it into the C squad, I was thrilled. From there, I went to every practice. I made friends, and won some matches. I lost more, but after each one, Dad would tell me what a great job I&apos;d done, and we&apos;d go home and make a toastie together. Fifteen years later, and those words Dad first told me about playing sport still ring true. Because at various moments in my life - after high school, coming back from travelling overseas, and moving to a new city for my first real job - I&apos;ve thought about giving up netball. I&apos;m too busy. I&apos;ve got too many other time commitments. I want to hang out with my boyfriend on the weekend. I don&apos;t want to get up early on Saturday mornings anymore. There were a million reasons I could have made the decision to hang up my trainers. But there were also a million more to lace them up and get back in the game. When I came back from gap year, it&apos;d been two years since I&apos;d played school netball. I missed it, but more than anything, I missed being a part of a team. 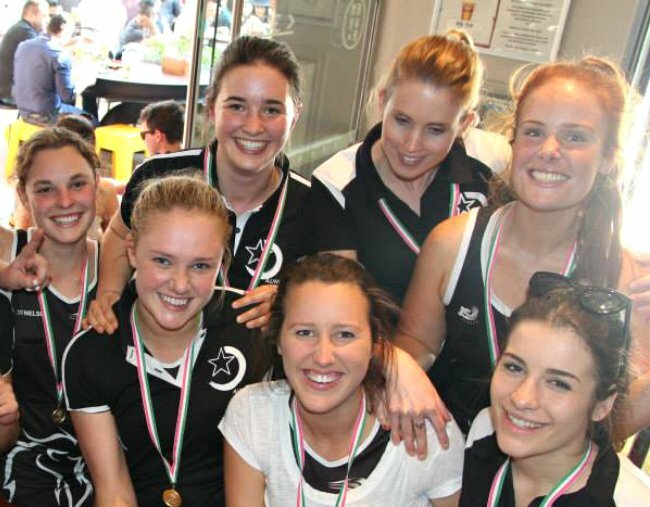 "I&apos;m so grateful for the many friends I&apos;ve made on the netball court." Image: Supplied. So I went along to the trials for a local university netball club. Just like all those years ago, I was scared. I didn&apos;t know anyone. When I turned up, people already knew each other, wearing the matching black polos they&apos;d worn the season before. After that first tryout, I could&apos;ve left. But I went back, and I made a team. I then went on to play for another five seasons at that netball club, where I also joined the committee and became a coach. The thing about netball, or any team sport, is it will give you more than you could ever possibly give it back. The friendships I made are ones I&apos;ll always cherish. After all, netball friends are way better than regular friends. It gave me a self-confidence and determination I&apos;d forgotten I had. When things in other areas of my life weren&apos;t going so well, I had the routine of Saturday sport and the support of my team mates to remind me I was valued and worthy. And I learnt about teamwork, and why, as corny as it sounds, there really is no &apos;I&apos; in team. Because success is a dish best shared with others. Nowhere is this truer than working alongside your teammates to be better for one another. WINNERS ARE BLOODY GRINNERS ???????????? So in 2017, when I moved interstate and said goodbye to my netball friends, the first thing I did was set about finding new ones. 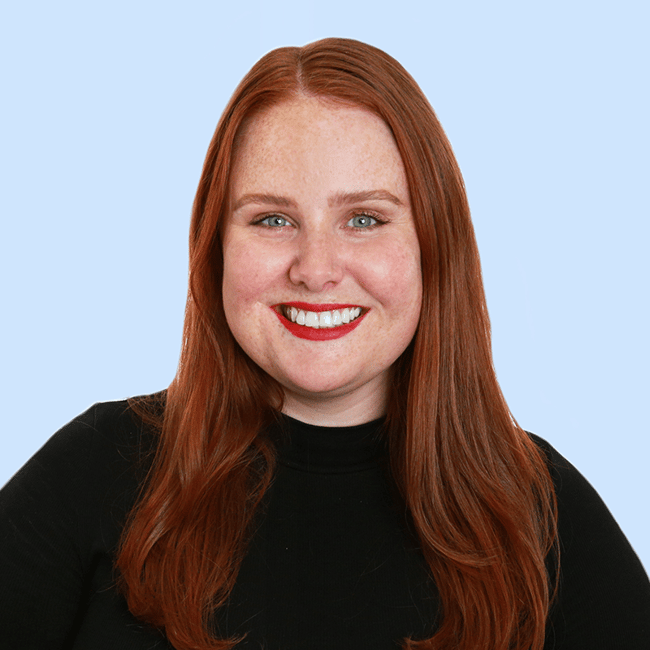 Because no matter what happened with my new job or my living situation, having a team to show up for every Saturday gave me the confidence to tackle the new and daunting challenges coming my way. So to anyone who&apos;s ever thought about dropping out of sport... please don&apos;t.
Yes, life gets busy, and you may never have less free time than you do right now. But making time for the things that make you feel good should come first. So pick up a ball and join a team. In 15 years&apos; time, when your knees are a bit wobbly and you&apos;re not as fast as you used to be, you&apos;ll be so glad you did. Because the benefits of being a part of a sporting team will stay with you long after the game is over. Mamamia supports the Suncorp #TeamGirls campaign, which aims to build a nation of confident girls through championing the benefits of sport participation. For more resources for young people and parents, visit suncorp.com.au/teamgirls.